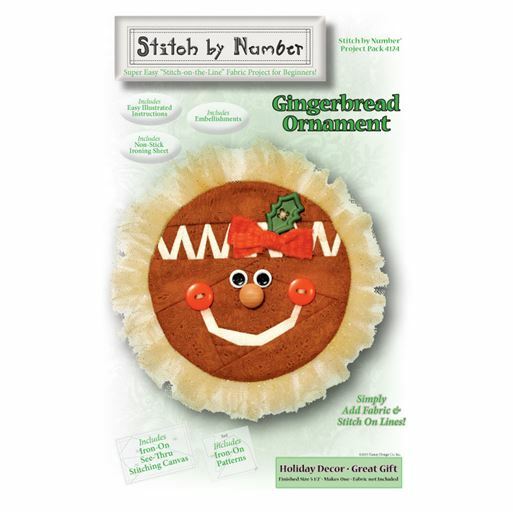 Gingerbread Stitch by Number Project Pack 4124 from Happy Hollow Designs. 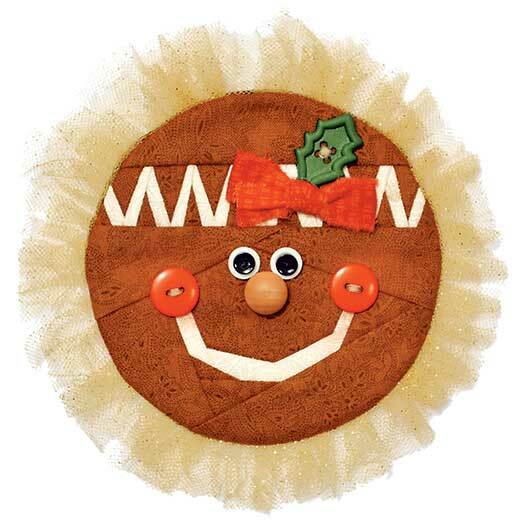 Sweeten your tree with this Gingerbread Ornament! Super easy "Stitch-on-the-Line" Project for beginners. Project pack includes: Embellishments, Pre-printed iron-on patterns, iron-on stitching canvas, illustrated instructions & non-stick ironing sheet. Simply add fabric, stitch & flip. Makes one. Finished size 5-1/2". Super Easy "Stitch-on-the-Line" Project for Beginners!